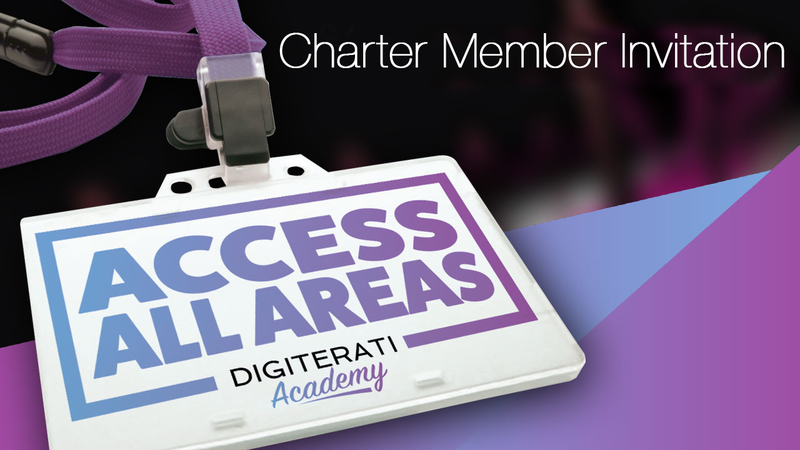 Digiterati Academy aims to be open about the way our site works to collect user data. We are committed to safeguarding the privacy of our website visitors and this policy sets out how we will treat your personal information. A cookie consists of a piece of text sent by a web server to your web browser, which is then stored by your browser. The information is then sent back to our web server each time your browser requests a page from the server. This enables the web server to identify individual web browsers. It does not contain personally identifiable information such as your name or other personal details - simply a unique identifier relevant to you. When you access our website, a cookie is placed on your computer by our content management system (CMS) Kajabi, which uses a session cookie. This temporary cookie is not used for tracking purposes, it's an essential, "strictly necessary" part of providing content to you through our CMS. We also use other web services provided by other companies to improve the experience for users of Digiterati-Academy.com and to help us review how we improve our service for users and commercially. ii. Pingdom. This is a service which helps us to monitor when our website suffers from downtime or failure. iii. Google AdWords. This is our comment system. It collects some information on browser usage and remembers users through cookies. iv. Facebook Social Plug-ins. We use these to share content from and to Facebook. Facebook may collect information using Facebook Custom Audiences about your browser also. Other social sharing icons such as Twitter and Google+1 may also collect information. Digiterati-Academy.com transmits credit card information directly to Stripe.com and/or PayPal.com. The credit card information is not communicated to our servers. All transactions are protected with SSL encryption. The Company does not store any credit card information it may receive in regard to a specific transaction and/or billing arrangement except as necessary to complete and satisfy its rights and obligations with regard to such transaction, billing arrangement, and/or as otherwise authorized by a user. The Site’s various mailing lists, downloads, special offers, contests, registration forms, and surveys may request that you give us contact information such as your name, mailing and/or e-mail address, demographic information such as your age and gender, and personal preference information such as your preferred software and interests. Information submitted at the time of submission will be used by the Company only as necessary for our legitimate business interests, including without limitation the improvement of our products, services and the contents of the Site. The Company may also share such information with our business and promotional partners to further those interests. Personally identifiable information is never sold or leased to any third parties. With your permission, we may use your contact information to send you information about our company and products. You may always opt-out of receiving future mailings as provided below. The data controller responsible in respect of the information collected on this website is The-Digiterati Academy Limited.